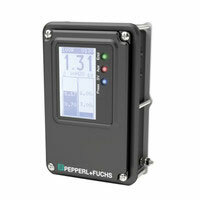 Pepperl+Fuchs: The new Bebco EPS® 7500 series purge and pressurization system takes hazardous area protection to a new level of innovation and confidence. Designed for Class I or II/Div. 2 and Zone 2/22 locations, it not only provides purged pressurization of the enclosure—It also continuously monitors enclosure conditions, makes automatic pressure adjustments, and provides an output alarm for reliable protection. As a high-end purge and pressurization system, it offers unique features for reliable explosion protection in an extremely compact housing. Learn more about how this globally certified economical purge solution ensures maximum protection for your process plant.